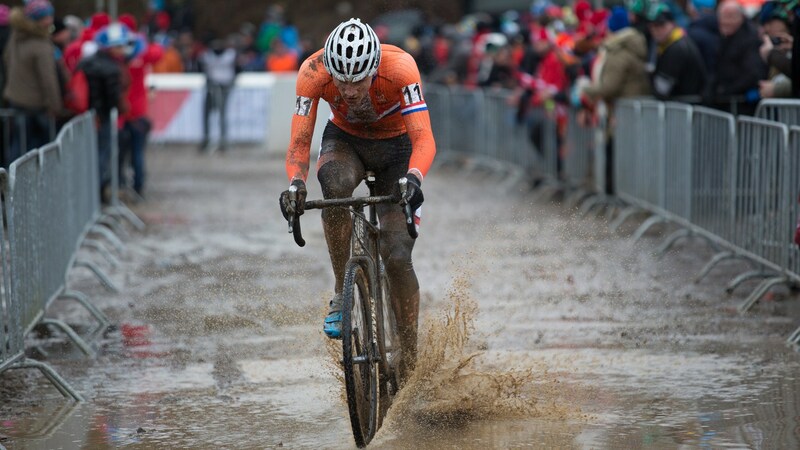 BikeClip is very proud to be present at the Valkenburg 2018 UCI Cyclo-cross World Championships Saturday 3 & Sunday 4 februari 2018! Bikeclip, we stand for bikes! December Sale starts now! Holiday month December we have a super discount on the BikeClip EXTENDED. 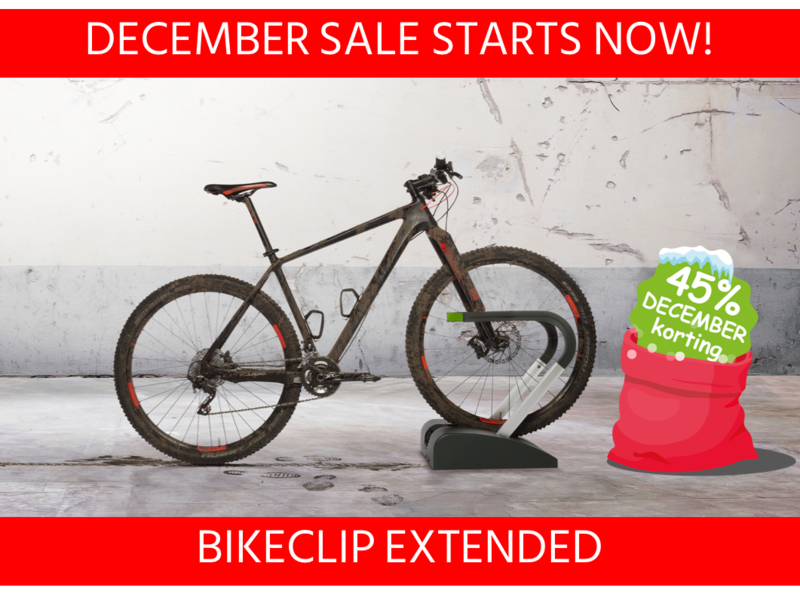 Use our the December discount code DEC452017 and get the BikeClip EXTENDED for just € 48,95 instead of € 89,00. 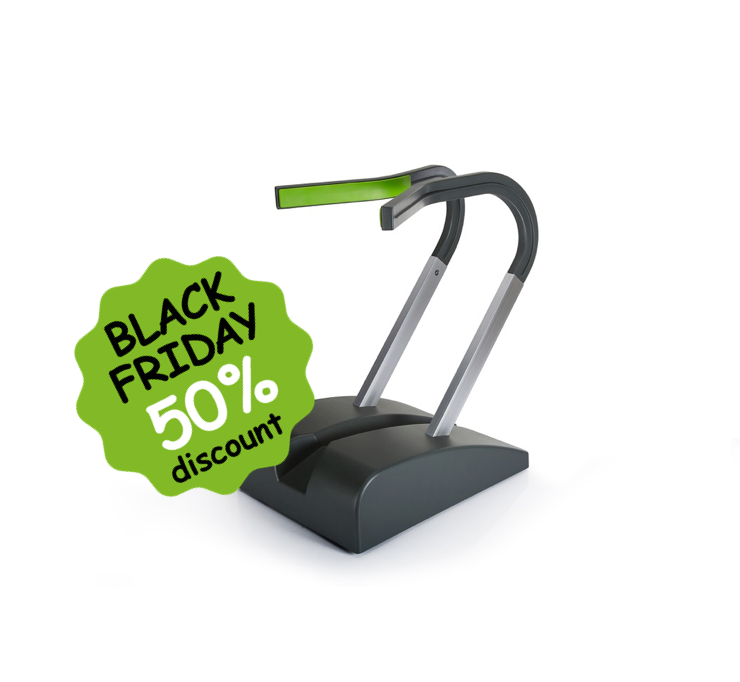 Black Friday is coming and we have a super discount on the BikeClip EXTENDED. Use the Black Friday discount code BF502017 the whole weekend till Sunday 26th of November and get the BikeClip EXTENDED for just € 44,50 instead of € 89,00. BikeClip available in new online store! 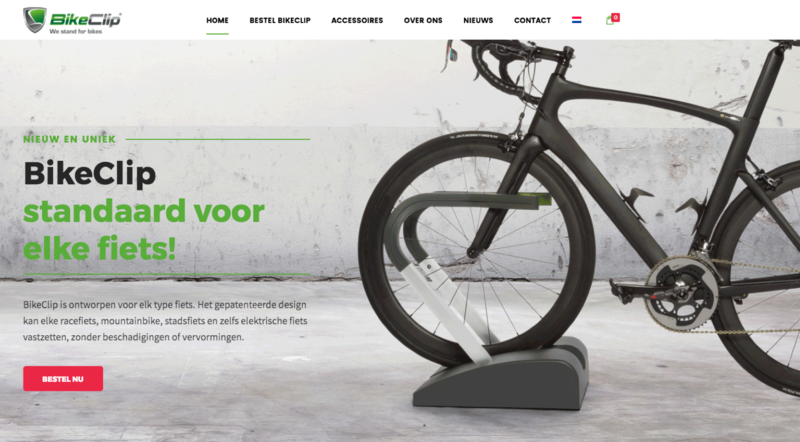 After our successful Kickstarter campaign last November, we are proud that the BikeClip is now in the Netherlands. After an extensive and thorough quality check in our warehouse, the BikeClip is available as of today for every bike lover. You are able to order the BikeClip via our brand new website and web shop. Last week, more than 350 pre-orders from Kickstarter, IndieGoGo and Facebook have been shipped globally and have been received very well. First reviews and photos can be found on our website and social media channels. Go to our online store https://getbikeclip.com/en/, enter the discount code BC_082017 on your first order and receive a 10% discount in August on your BikeClip Essential or Extended. Again, we would like to thank everyone for the support you gave us. You have brought BikeClip to life! Happy backers! That’s what we love to see! We just want to share with all of you some of the pictures we already received from our backers. There are many more, but for the people not yet following us on Facebook, check them out here. Your BikeClip is ready and on it’s way to you! We are so happy to inform you that the BikeClips are ready for delivery. Our team worked around the clock to make sure the BikeClips are now on their way to your homes as fast as possible. For international shipments, please have a little bit of patience, as this might take a few days for our logistics partners to deliver them globally. Once again, thank you all for your fantastic support! Progress on Production and Shipping! Please find here a new update on production progress and shipping. Besides good progress, see pictures. We unfortunately experienced a unexpected setback and thus a corresponding delay due to a broken mold of the metal inlay plate / new arm pieces. We have solved the problem and are back in production! New estimated delivery of your BikeClip will be end of July/early August. To ease the waiting a bit, we decided to add a BikeClip Drink Bottle for all of you. • March 2017 Production of filler caps – finished! • March 2017 Production of the Base part – finished! • March 2017 Production of the Design Cover – finished! • March 2017 Production of the Travel Bag –finished! • March 2017 Production of the Aluminum struts – finished! • March 2017 New mold silicon protection sleeves – finished! • March 2017 New design metal inlay plate – finished! • March 2017 New mold arm pieces – finished! • April 2017 Production silicon protection sleeves – finished! Just because we are still proud of our Kickstarter Video! just for those who missed our video during our Kickstarter campaign. We are still proud of the video because it says it all. Proto’s coming out of new molds have been checked, approved and look great! Please find below the latest update on production progress. Proto’s coming out of new molds have been checked, approved and look great! Production is now running at full speed. Just before Eastern, here is a new update and our new Video! please check our new video where Maurice uses our new add-on, Bottom Bracket, soon available via our new web shop in our new website. Before the Eastern weekend find below a new update on production progress. Things are moving! Happy Eastern to you all and go out and ride! • March 2017 New design metal inlay plate ready – finished!